Beginning Thursday and continuing through Sunday, firefighters are again hitting the streets and filling their boots with donations at Sunrise Boulevard and Greenback Lane for the annual “Fill the Boot for Burns” fundraiser in Citrus Heights. The 2019 fundraiser will be held from Feb. 7-10, with a free safety fair on Saturday, Feb. 9, in the Sunrise Mall parking lot from 11 a.m. until 2 p.m. An event listing on the mall’s Facebook page says the fair is scheduled to include safety demonstrations, exhibitor booths, and a helicopter landing. “I’m very glad to welcome back the firefighters for the ‘Fill the Boot for Burns’ fundraiser again this year,” said Citrus Heights Mayor Jeannie Bruins in an email to The Sentinel on Wednesday. The mayor said she plans to be out at the intersection Friday morning to welcome the firefighters and chip in a donation to the cause. 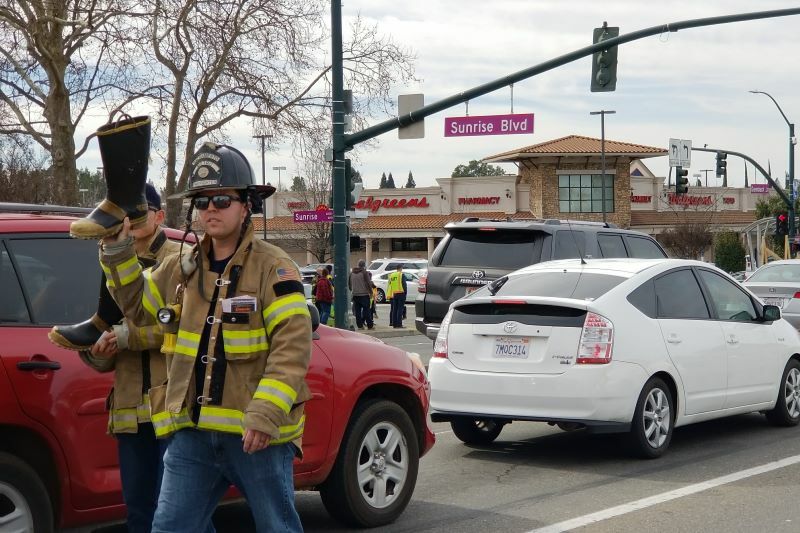 Reporting over $168,000 received in donations during last year’s fundraiser, the local four-day “boot drive” is one of several-dozen similar events held across the state that together raised nearly $500,000 last year for the Sacramento-based Firefighters Burn Institute. This year’s goal is to raise over half-a-million dollars to improve burn treatment and fund burn recovery programs, including a Firefighters Kids Camp for young burn survivors and a Little Heroes Preschool Burn Camp, according to the Institute’s website. The burn institute was founded by firefighters in 1973 after a Sacramento plane crash killed 22 people and burned many others. The organization also gave $2 million toward the new UC Davis Firefighters Burn Institute Regional Burn Center, which was named in recognition of the Institute’s contributions.